It's not safe to assume that all Agents have similar contracts. Some have a 4 week notice period during which you cannot put another agent's For Sale board up. Although you can usually put a Private property online advertiser's For Sale board up. Sole seller rights means you pay the Agent no matter who buys your home. Sole Agent means you can sell 'privately' and not pay the Agent. See more details below. When you use an estate agent you have to sign a legally binding contract. Before signing, read the contract carefully and make sure you understand it. Getting out of the contract later may not be as easy as you think. Find out whether you have the right to cancel the contract, after how long and what notice period you will need to give and if you cancel the contract whether or not there will be a fee to pay. The contract should allow a reasonable length of time to market your property and find potential buyers. Beware of contracts that tie you to an estate agent with a long notice period because to get out of the contract may be difficult if you want to market your property with another Agent. "No sale no fee" is a common Estate Agent contract term but not always the case and even with this you may still have a fee to pay or a notice period if you want to cancel the contract with one Agent and transfer to another Agent. An Estate Agent may insist that their For Sale Board stays on display for the duration of the notice period. If in doubt, get advice from a solicitor or your local Citizens Advice Bureau. You may come across some unfamiliar terms in a contract. Make sure you understand what you are agreeing to. The terms 'sole agency', 'sole selling rights' and 'ready, willing and able purchaser' must be explained in writing if they are used in a contract. 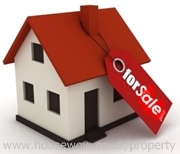 The estate agent is the only agent with the right to sell your property. If you find a buyer yourself, you don't have to pay the estate agent's commission although you may still have to pay for advertising or a 'For Sale' board. If you change from one agent to another, there may be a period when both agents' commissions are due if your property is sold. 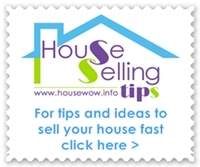 HouseNetwork.co.uk are an online estate agent offering an option of a set one off payment in advance to market your home. With this arrangement you do not pay a percentage commission and do not pay any additional fees regardless of any additional marketing services being undertaken. The estate agent is the only person with the right to sell your property. It is different from sole agency. With a sole selling rights contract, even if you find a buyer yourself, you still have to pay the Estate Agent. You have to pay if the estate agent finds a buyer who is prepared and able to buy your property and exchange unconditional contracts. You still have to pay even if you withdraw from the sale and unconditional contracts are not exchanged. 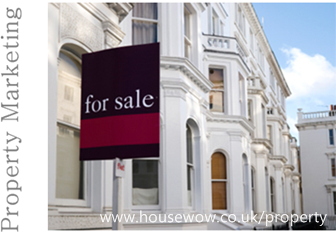 You can ask several estate agents to act for you on a multiple-agency basis. Only the estate agent who sells the property will be entitled to a commission. The rate of commission is likely to be higher than for a sole agency or sole selling rights contract. A few estate agents offer a 'joint sole agency' contract where two agents agree to share one commission, although the total fee may be higher. If you appoint more than one estate agent to sell your property under a sole agency or a sole selling rights contract, each agent has the right to claim their fee when the property is sold. The most open contracts are usually available from online Estate Agents who will charge a low percentage rate or a fixed fee which gives the vendor the option to change Estate Agent or add another Estate Agent at any time.